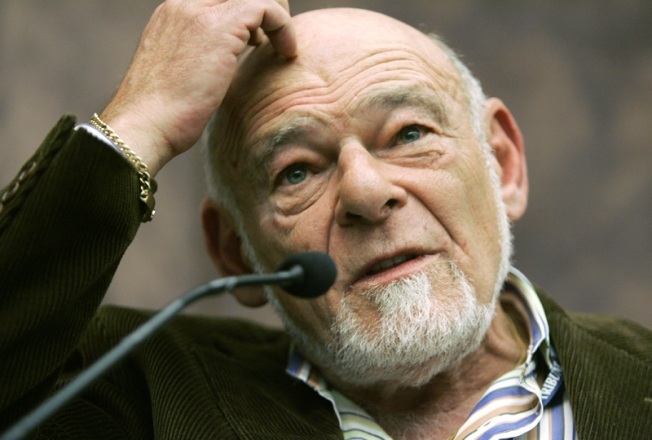 Real estate billionaire Sam Zell took Tribune private last year. Advertising revenue declined severely this year because of the recession, putting pressure on the Chicago-based company. Most of its debt comes from the complex transaction in which the company was taken private, with employee ownership, by real estate mogul Sam Zell last year. Although the next major principal payment on the debt, of $593 million, isn't due until June, analysts say Tribune has been in danger of missing lender-imposed financial targets at year's end. Those targets are based on the level of debt relative to cash flow and become harder to meet as revenue declines, even if the debt itself doesn't increase. Monday's filing, made in bankruptcy court in Delaware, could give Tribune time to raise cash by selling off assets in a tight credit market. It also could put additional pressure on its lenders to ease their targets, possibly in exchange for higher interest rates, as many other newspaper companies already have done. Zell told employees in a memo that the Cubs franchise is not part of the bankruptcy filing. He also said the company's operations, including newspapers and broadcast outlets, will function as before during the bankruptcy protection period. "So, how did we get here? It has been, to say the least, the perfect storm," Zell wrote. "A precipitous decline in revenue and a tough economy have coupled with a credit crisis, making it extremely difficult to support our debt. All of our major advertising categories have been dramatically impacted." Tribune's biggest unsecured creditors are its lenders, led by JPMorgan Chase Bank and Merrill Lynch Capital Corp. JPMorgan is the administrator of $8.57 billion in senior debt and holder of about $1.05 billion of that. Others include Deutsche Bank AG, New York-based investment management firm Angelo Gordon & Co. LP, hedge fund Highland Capital Management LP and Goldman Sachs Group Inc.
Barclays Capital Inc., which bought key assets from Lehman Brothers Holdings Inc., is also among Tribune's creditors, with about $142.9 million in interest rate swaps.